In cinemas this week: The Expendables 3, The Hundred-Foot Journey, Palo Alto and Postman Pat: The Movie. 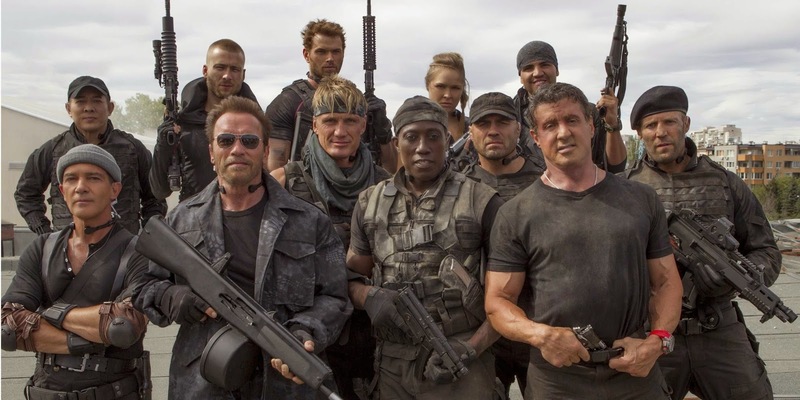 The Expendables 3 - Barney (Stallone), Christmas (Statham) and the rest of the team come face-to-face with Conrad Stonebanks (Gibson), who years ago co-founded The Expendables with Barney. Stonebanks subsequently became a ruthless arms trader and someone who Barney was forced to kill... or so he thought. Stonebanks, who eluded death once before, now is making it his mission to end The Expendables -- but Barney has other plans. Barney decides that he has to fight old blood with new blood, and brings in a new era of Expendables team members, recruiting individuals who are younger, faster and more tech-savvy. The latest mission becomes a clash of classic old-school style versus high-tech expertise in the Expendables' most personal battle yet. Review by Matt Pejkovic, Matt's Movie Reviews. The Hundred Foot Journey - Hassan Kadam (Manish Dayal) is a culinary ingénue with the gastronomic equivalent of perfect pitch. Displaced from their native India, the Kadam family, led by Papa (Om Puri), settles in the quaint village of Saint-Antonin-Noble-Val in the south of France. Filled with charm, it is both picturesque and elegant - the ideal place to settle down and open an Indian restaurant, the Maison Mumbai. That is, until the chilly chef proprietress of Le Saule Pleureur, a Michelin starred, classical French restaurant run by Madame Mallory (Helen Mirren), gets wind of it. Her icy protests against the new Indian restaurant a hundred feet from her own, escalate to all out war between the two establishments - until Hassan's passion for French haute cuisine and for Mme. Mallory's enchanting sous chef, Marguerite (Charlotte Le Bon), combine with his mysteriously delicious talent to weave magic between their two cultures and imbue Saint-Antonin with the flavors of life that even Mallory cannot ignore. Palo Alto - Shy, sensitive April (Emma Roberts) is the class virgin -a popular soccer player and frequent babysitter for her single-dad coach, Mr. B. (James Franco). Teddy (Jack Kilmer) is an introspective artist whose best friend and sidekick Fred (Nat Wolff) is an unpredictable live wire with few filters or boundaries. While April negotiates a dangerous affair with Mr. B., and Teddy performs community service for a DUI - secretly carrying a torch for April, who may or may not share his affection - Fred seduces Emily (Zoe Levin), a promiscuous loner who seeks validation through sexual encounters. One high school party bleeds into another as April and Teddy finally acknowledge their mutual affection, and Fred's escalating recklessness spirals into chaos. Postman Pat: The Movie - The film finds Pat, everyone's favorite postman, center stage as a contestant in a national TV talent show competition. Will success and fame tear him away from his hometown of Greendale and the friends he loves? Can Pat return to town in time to foil a sinister plot to replace him with legions of Patbot 3000 robots destined to take over the world? Only Postman Pat can save the day. Weekly Recommendation: The only film I have seen from this line-up is Palo Alto, and I hated it. The only way I know Postman Pat is out is because the Internet tells me. With Chef and The Lunchbox already in cinemas this year, I don't think The Hundred Foot Journey is going to offer too many surprises. Mirren is always watchable and I have enjoyed Hallstrom's films over the years, but I am going to give this one a miss. There is no chance I am going to see The Expendables 3. I despised the first one and didn't bother with the apparently worse sequel. So, it looks like I'll be having a week away from the cinema. Unless I watch Lucy again.